There is an old, old joke about new year’s resolutions going “in one year and out the other” — which is totally cliché but also so damn true. 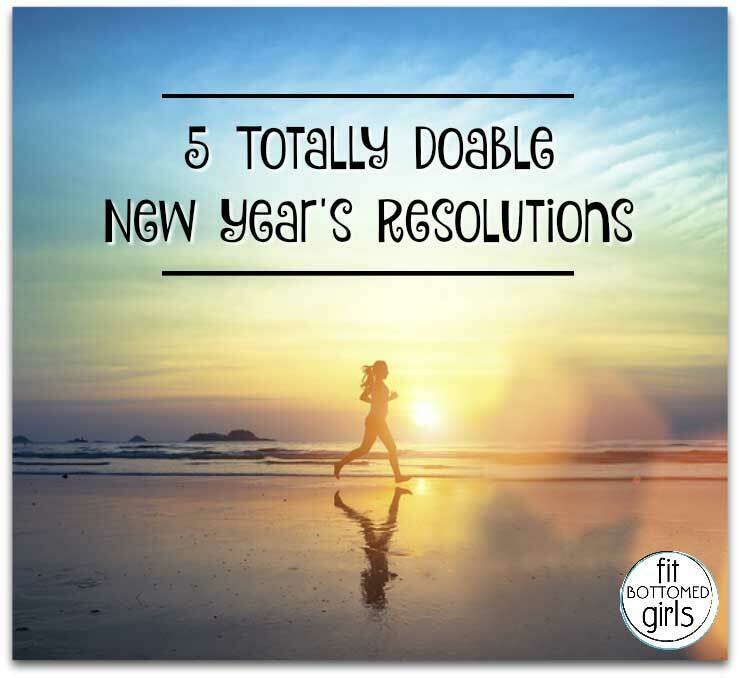 I mean, can you count the number of new year’s resolutions that you stuck with for the entire year? For most of us, the prickly fact is that LIFE happens and interferes with our best efforts to change, no matter how nobly we declare them on January 1. Which can make us just throw out a big f*** it to the entire resolution process. So, we asked top health and wellness pros for their suggestions for new year’s resolutions that are actually doable and can help to make this new year your fittest year yet. Get ready for some new motivation! Add an extra serving of fruit or vegetables to your day. If you can manage to get an extra serving of both, even better! Sign up for a 5K or try a new fitness class. These are not huge commitments and you won’t be out a lot of money if you try them and don’t like them. Typically, with women, they want to lose fat and build muscle. Start with portion control of four to six smaller meals a day versus three huge meals with some sneaky snacks in between. Rule of thumb: since most of us don’t carry around a food scale — closed fist size of protein, open palm size of veggies and open palm size of carbs. Start there and research clean meal recipes, low-sugar veggies and healthier complex carbs. You will see results sooner than you think! If you are new to exercise, be sure to avoid any workout ruts by trying all sorts of classes and activities. To get the most out of every single workout you get in this year it is essential to do something totally different from time to time. (Switching out a cardio day for hot yoga class, for example.) It will make things more fun because it will break the monotony and will also help you develop your muscles better by using them in various ways! Instead of the standard resolutions, I coach my clients, friends and followers to adopt choosing a “theme” for the year. This one simple, effective choice becomes your guide point that directs your choices and the lens through which you perceive opportunities and obstacles you come across. I have a couple of YouTube videos fully explaining my Resolution Solution here! Time is here to take new planning but overtime i think about running in morning. but i can not it really hamper me to run but fitness i would be. This is amazing! Great advice. I will now make my new year’s resolution and make sure to do it. With your tips I can probably do it!